How to get more follower on Vine and become famous and get good fame from the social network. You will get all of your answers here in full details. Probably this is the main reason you have come here and you won’t be disappointed at all. I will tell you on how to get more followers on vine. Before we start the actual case study, let us first understand the main reason for getting more followers on your vine social account. You want fame or whether it could be promoting your blog and website. I will provide step by step guide on how you increase your vine followers from 10 to 10000 within 10 days. For those who don’t know about Vine. I will explain you in short. Vine is a social video sharing app, which is available for IOS and android devices. Vine is a product from twitter. Vine is video sharing app, so you can create short 6 second videos which play continuously in a loop. You can either share this video twitter or any other social network with embedded URL. Vine video sharing app is similar to Instagram. So those who are using Instagram will find it very easy to operate it. The Proper word to describe Vine will be a mobile social network – video sharing app. You can record the video in quick time and share it with the world easily. If you really want to increase likes on your vine. You need to post quality vine consistently and frequently. For instance, if you are publishing 1 Vine in 1 month. You won’t get recognized and get more followers on Vine. According to research conducted on top 10 highest followers account on Vine. We found that most of them were usually posting 3-4 Vine per day. So you need to record great videos and create a personal library of funny videos and post it on Vine every day. So be consistent and post 3 – 4 short vine videos every day. Make use of your social network accounts such as Facebook, google plus and twitter. Share your vine videos with the world. You can promote your videos on different groups on social media by sharing direct links with them. Drop comments on Facebook with your direct video vine URL. Use catchy words which are attention grabbing. Don’t write boring titles and be aggressive and enthusiastic when you write titles. You can also write a short description of your video and post it on bloggers personal page with direct Url to Vine. Everyone have a group on WhatsApp messenger, you can also share your Vine videos URL with the groups. Connect your Facebook and twitter account with Vine. Which will double your chances to get more visitors and followers on Vine. You can also gain good followers on Vine by pinning it on Pinterest and posting it on tumbler. Don’t forget to create animated gifs when you post on Pinterest and tumbler. If you are posting videos which are boring and not interesting. You won’t get any likes. Visitors tends to leave your profile if your videos are not interesting. For example, look at this interesting video on Vine: The Cup Cake Dude. Isn’t that video funny? Research some stuff on how videos are recorded. Try to check some funny videos on youtube and start developing your own quality videos. Don’t copy the same thing. Be unique and have a short story in your videos. You can get inspirations from other’s account on Vine as well. If you want to increase likes and followers on Vine. You need to start liking and start following the user from your categories. For example, if you are posting only funny videos on Vine, you should follow your neighbours with the same niche. I have my friend who posts only funny cats videos. He has around 800 followers within 1 month with just 8 cat videos. So you can create a niche of videos to post on your account. Don’t mix your videos with funny, tragic, accident or any political videos. So if you are posting funniest car videos, stick to it. This is the way to get famous on Vine. Many people have created their part-time career out of it by posting videos. Once you are famous. You will be getting more followers on Vine in the month of time. Obviously, you cannot just copy above hashtags for any videos. So when you type # start writing text and you will be given an option in the drop down for popular hashtags. Corporate houses are gearing up on using Vine for business. Many companies have started promoting short videos about the products. They are using the power of 6 seconds video by showing company logos and client testimonials. You can also show short interviews of customers by starting a series of videos.  If you are a product based company, consulting or services business. You can use Vine for business by designing short animated videos of your offerings. You can check some the brands on vine who are using Vine for business. You will get an idea on how to promote your business on Vine. Click here for more vine business video examples. Vine is the powerful social network. You can be famous by using Vine and it is very easy to get followers on Vine. You should be confident and post high-quality creative videos on Vine. 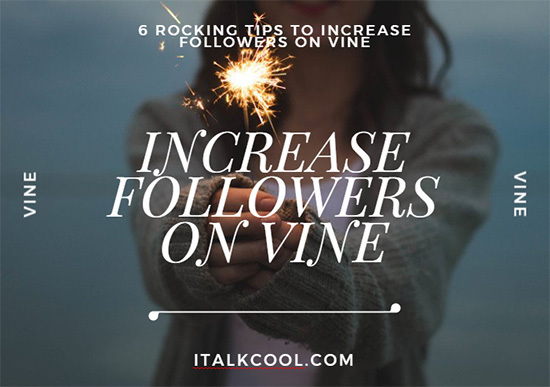 You can easily increase follower on Vine from 0 to 10000 within months. You don’t know which of you Vine video will get viral and bring fame to your account. Please do share this article and comment below if I have missed anything. Cheers. These tips that you mentioned are just awesome. I have heard something about them before, but now I’ll make sure to use them. Thanks Clay, Actually this is a proper case study and was implemented by one of colleague to increase followers on vine. He got around 2000 vine followers within 3rd week of implementing strategies on his account. Thanks a lot for this post and these tactics are actually easier to implement and previously I did all these in Facebook and got succeeded. Vine is growing day by day definitely going to become a viral social site with videos. I think vine is quite amazing as it’s algorithm of viewing videos of our own choice is amazing and worth mentioning. Keep writing more tips and tricks regarding other social networking sites too. Thanks for dropping here. Compare to India, Vine is popular in USA and other Europe countries. But from past 2 years most of the corporate have started using Vine for promoting their business and services. I’m glad you like the article and it will help you to get more followers on Vine.